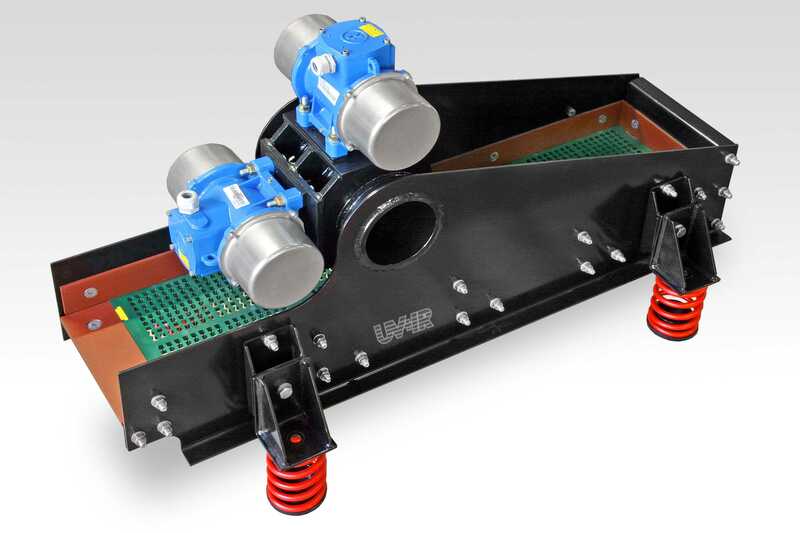 A full range of vibrating feeders are available with different types of liners, drives and suspention options. 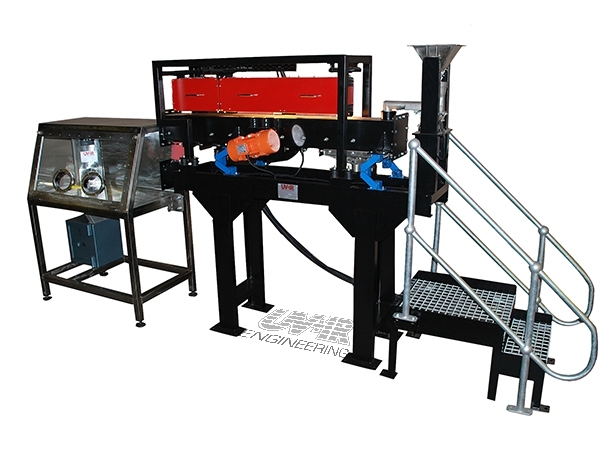 These include: Electro-mechanical feeders (brute-force type), Electro-magnetic feeders, Tubular-feeders, De-watering feeders, Vibrating Screens. 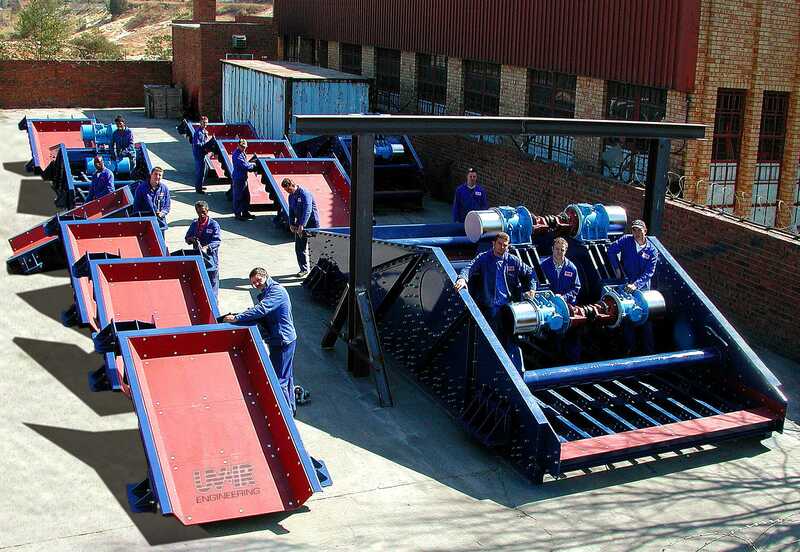 Various screen types for various applications in light, medium and heavy duty executions. 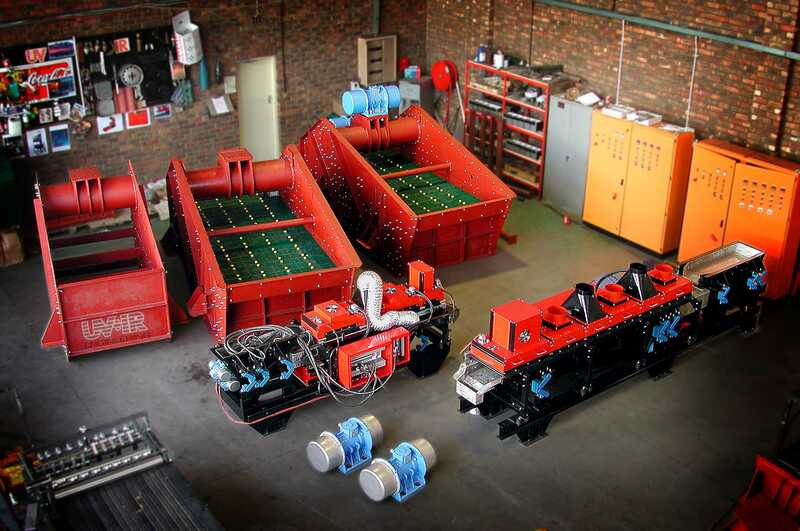 These include: De-watering screens for large volume water drainage, de-slimming screens, Sizing screens for accurate sizing of different material feeds, Scalping screens for high capacity applications. 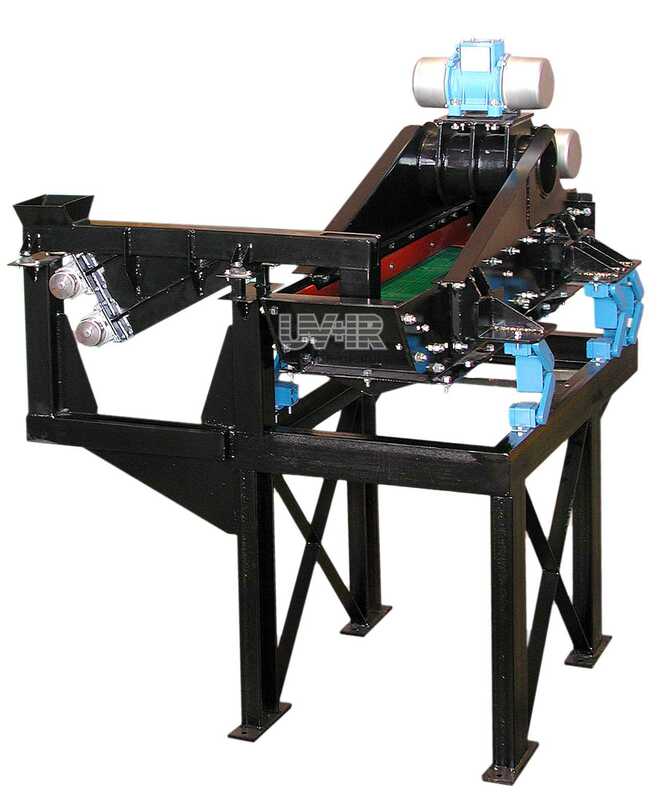 Various types of screening media are applied which include: polyurethane panels, rubber panels, perforated plate, wedge wire & woven wire. 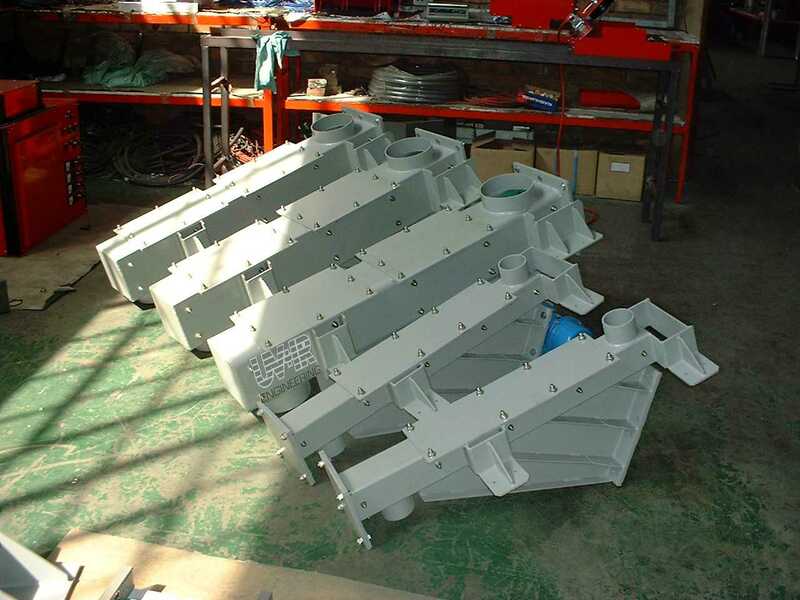 De-watering feeder with polyurethane panels.